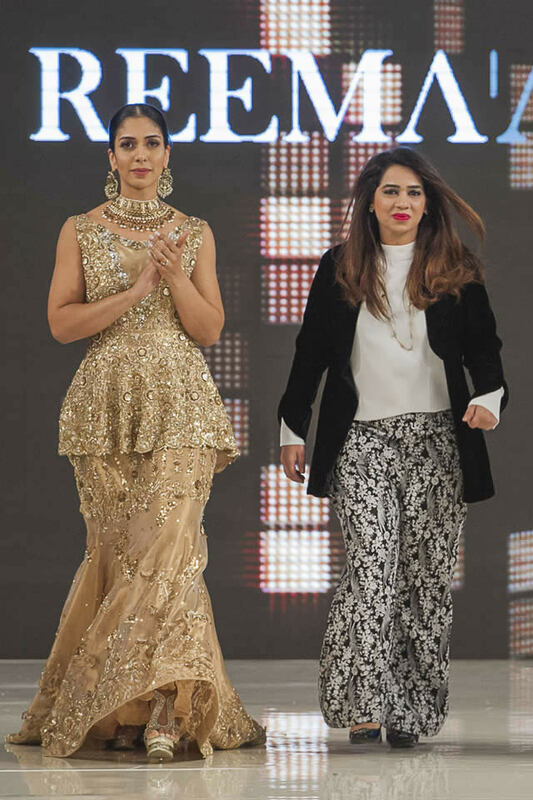 Pakistani fashion designer Reema Ahsan showcased her latest “Je Suis Belle” dresses Collection 2017 at Pakistan Fashion Week London 12th edition. 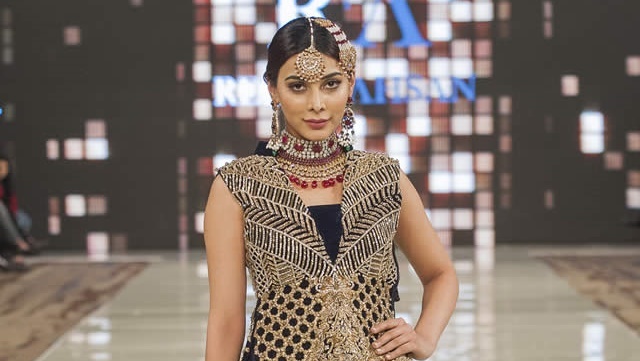 Reema’s design philosophy has largely been influenced by her travel experiences and interests. 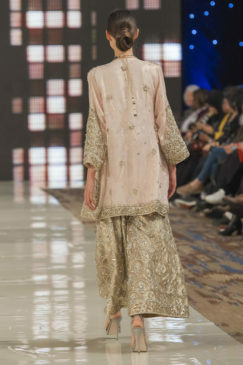 Geometric prints and florals are her two most favourite patterns that she often incorporates in her work. 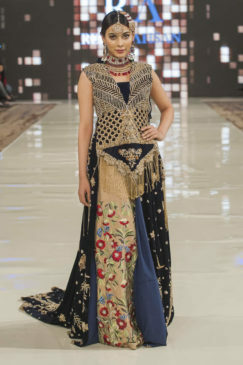 Additionally, Reema loves to play with rich colours, experimenting with different cuts and silhouettes. 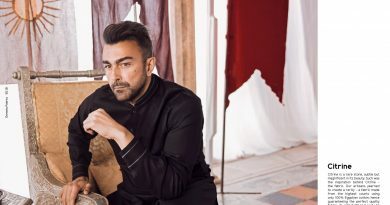 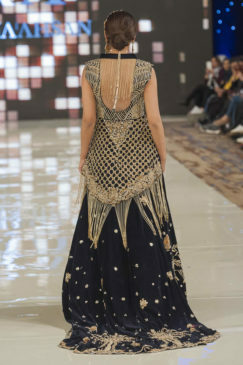 Adnan Ansari choreographed the event, a return to his core passion, and first after 12 years, a vibrant display of trends, textiles and styling. 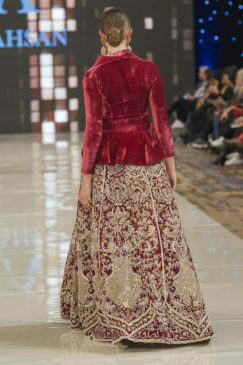 The access for many Londoners and others who travelled across the UK to see the shows is invaluable, allowing access to Pakistani designers without leaving the country.